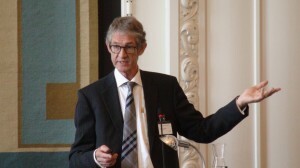 The first of the two European-wide Parliamentary debates on TA was held on 18 June 2012 in the Parliament of Copenhagen and addressed the challenges of policy-making in respect to science and technology issues. The format of the meeting was designed to allow for mutual exchange between participants on their expectations and concerns related to the mission of Technology Assessment. It derived from the discussions that Technology Assessment is expected to create transparency on science and technology, thus helping policy-makers to appreciate both the scientific and society-related aspects of research and innovation policies. But it also appeared that Technology Assessment is challenged by the globalisation of science, technology and politics, so that it has to reflect on new forms of policy advice. Professor Bijker’s “Harnessing Science and Technology for our Future: Policy-making on Innovations in Science, Technology and Democracy”. Professor Renn’s “Technology Assessment: Prospects and Limitations in a Globalized World”. Mr. Ganzevles’ “Parliamentary TA in Europe: First results of the PACITA project”.